Appearance: Pale golds and hints of green. Aroma: Typical aromas of honeysuckle and honeydew melons. Strong vanillin oak. Palate: When first poured shows strong hay and dried grass flavours but with breathing becomes much finer and elegant in style, showing off its fragrant honeysuckle and honeydew melon palate. The vanillin oak component becomes background and adds another dimension to the wines complex structure. Food: Suited to white meats and pasta dishes. 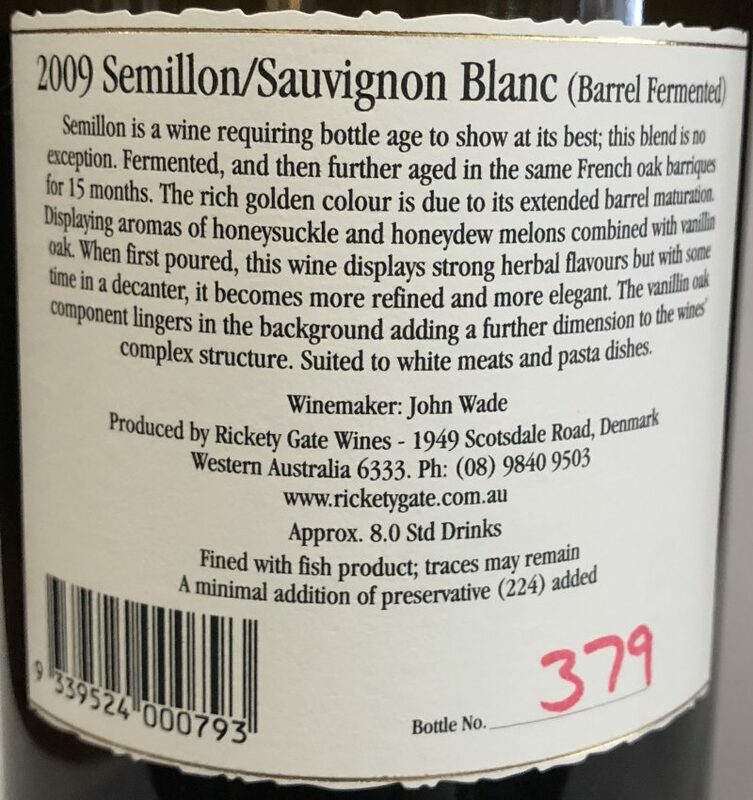 Semillon is a wine requiring bottle age to show at its best; this blend is no exception. Fermented, and then further aged in the same French oak barriques for 15 months. The rich golden colour is due to its extended barrel maturation. Displaying aromas of honeysuckle and honeydew melons combined with vanillin oak. 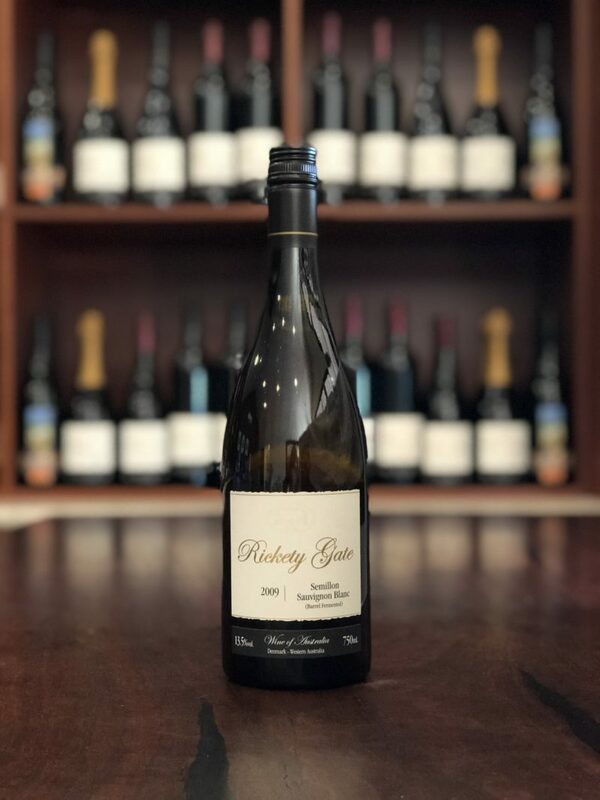 When first poured, this wine displays strong herbal flavours but with some time in a decanter, it becomes more refined and more elegant. The vanillin oak component lingers in the background adding a further dimension to the wines’ complex structure. Suited to white meats and pasta dishes.